Here’s an interesting little sidelight to the recent World Series. 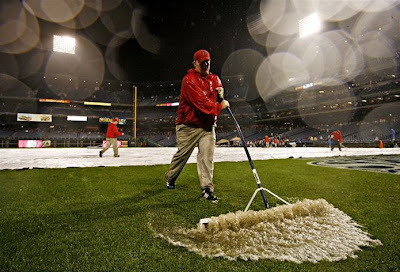 Figuring prominently in the rain-management and groundskeeping activities for the series were tools manufactured in Warsaw, Indiana, by Midwest Rake Company LLC. The president of Midwest Rake is Bill Henthorn, a 1976 business administration graduate of Grace College, Winona Lake, Ind., and a former banker with Lake City Bank. Bill and his wife, Bobbi, are members of the Winona Lake (IN) Grace Brethren church, where he is heavily involved with the video and media ministry. To learn more about Midwest Rake click here.